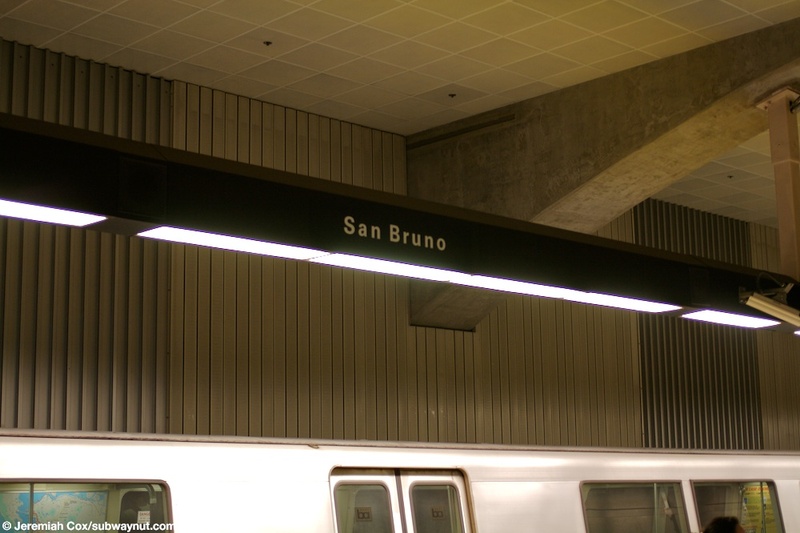 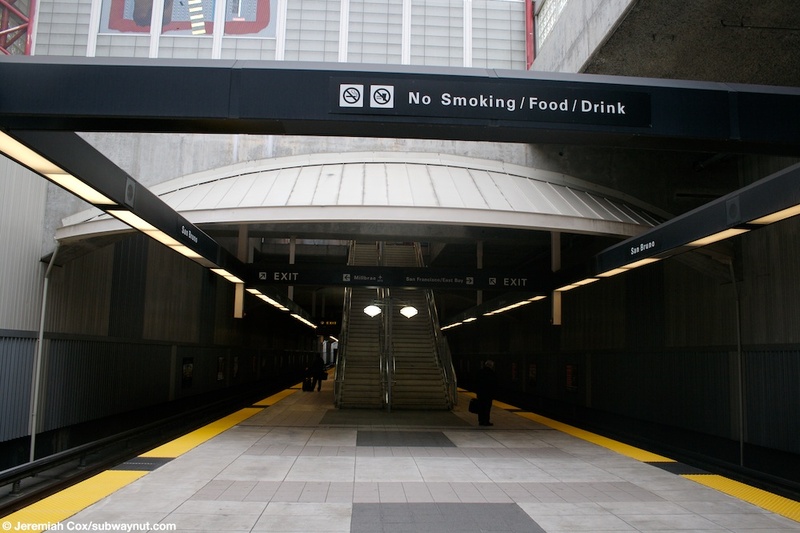 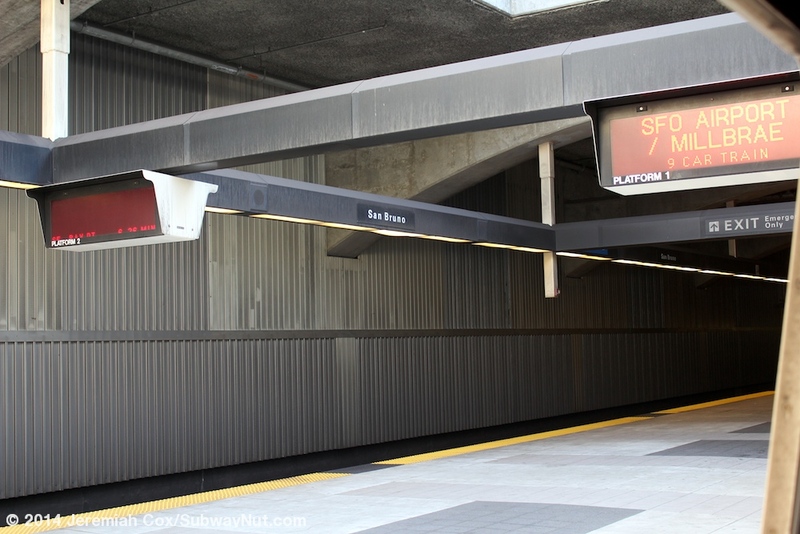 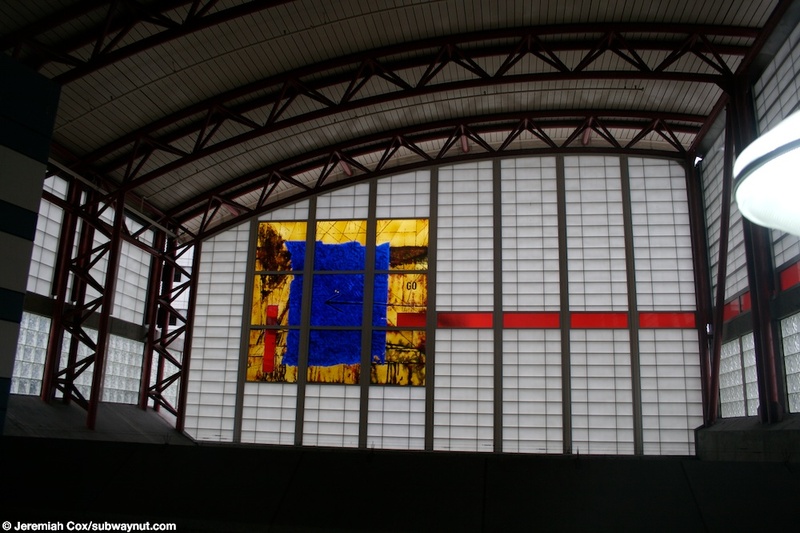 San Bruno is a BART station located inside an open-cut with a single island platform mostly covered by the station building and street-level concourse above. 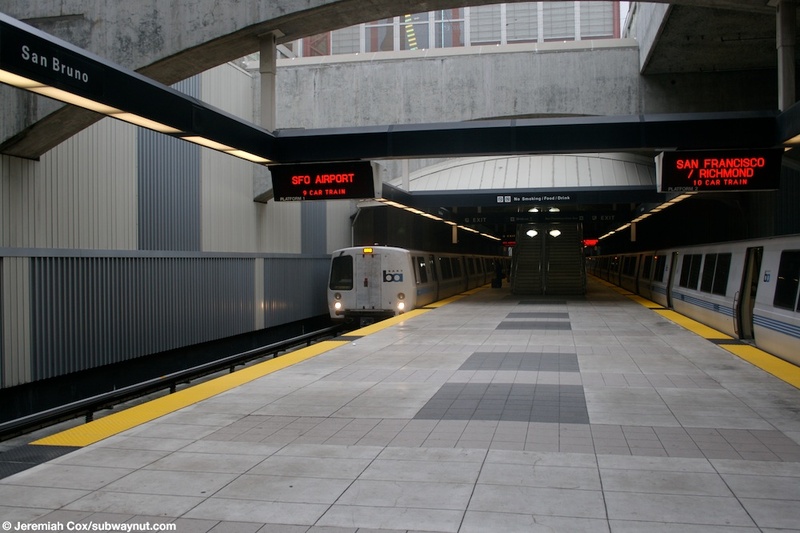 The station wasn't designed to be a transfer point (originally there were to be three routes on the extension, two main line routes from San Francisco (and the East Bay) to SFO Airport and Millbrae, stopping at San Bruno) and a special Shuttle train from SFO Airport to Millbrae, giving all routes direct service. 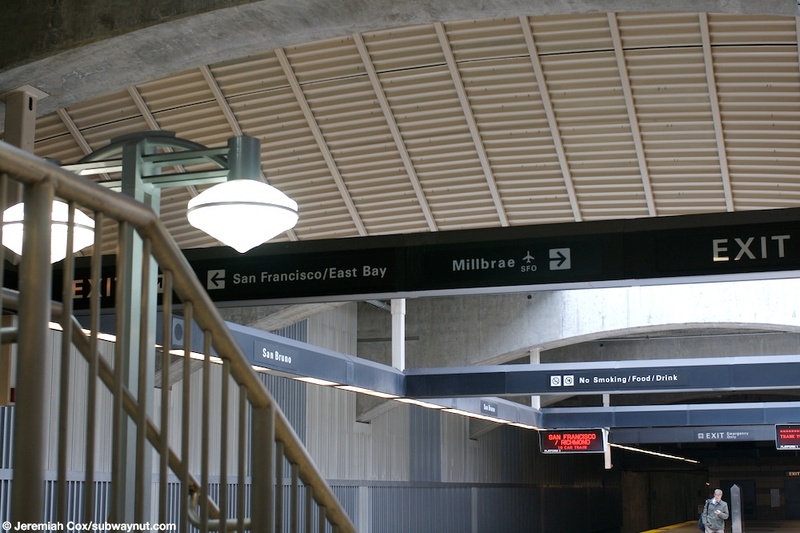 The Shuttle train only lasted a year and at first service to Millbrae ran via SFO but on January 1, 2008 the station became a transfer point for passengers making a now quite indirect trip from Millbrae to SFO Airport, now having to switch (with a timed transfer) here at San Bruno. 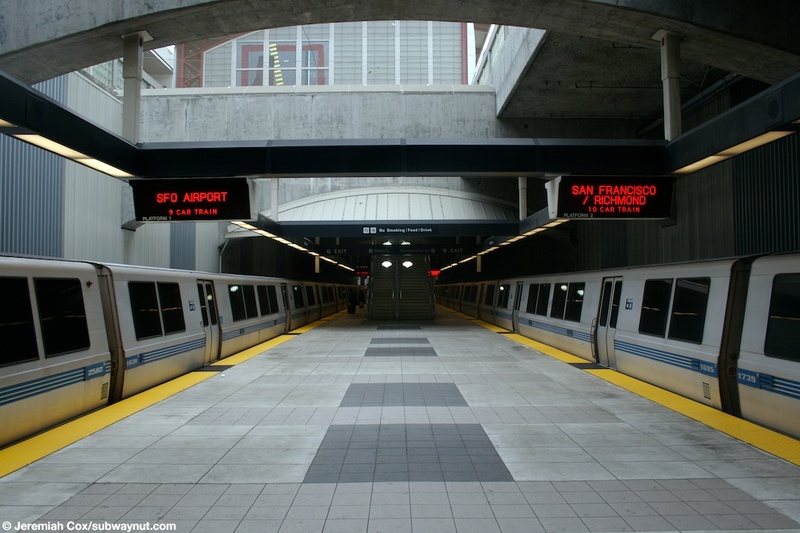 On September 13, 2009 the via SFO service pattern was restored during Evenings and Weekends with the San Bruno transfer only required during weekdays as it is today. 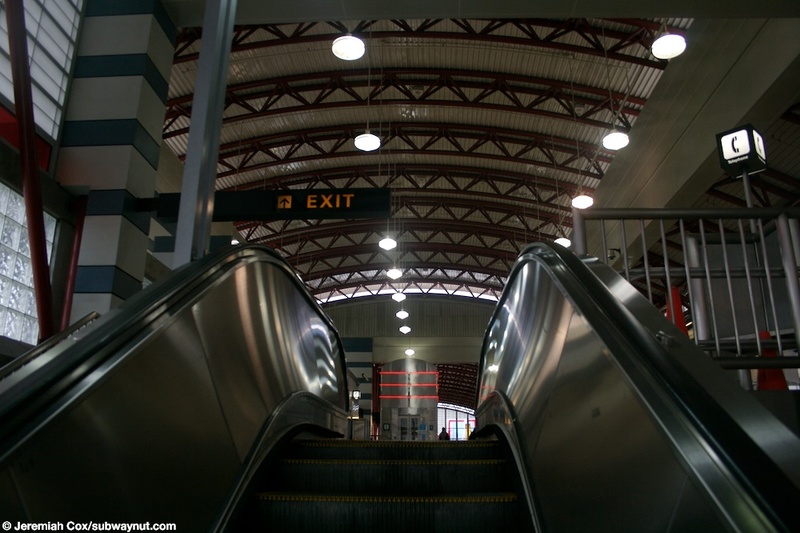 To leave the single island platform staircases, escalators and elevators lead up the wide concourse located at street level beneath a sweeping high arched roof held up by red beams. 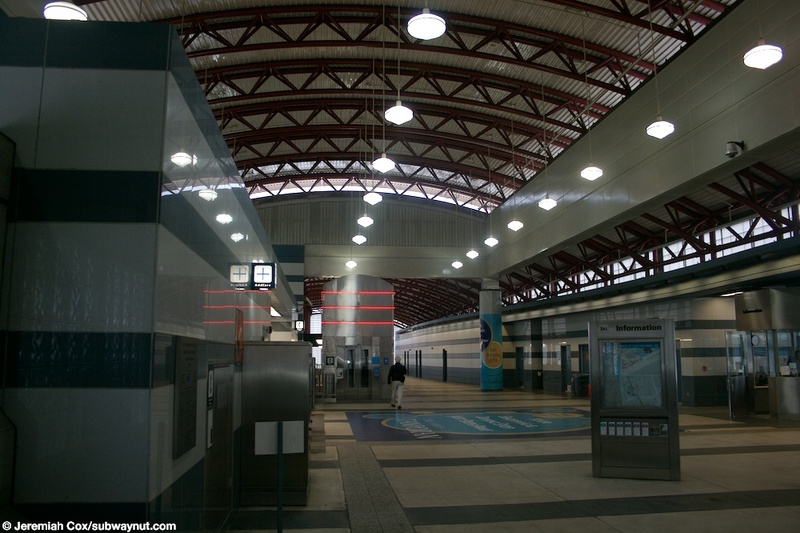 From here there are fare gates on each side of the building. 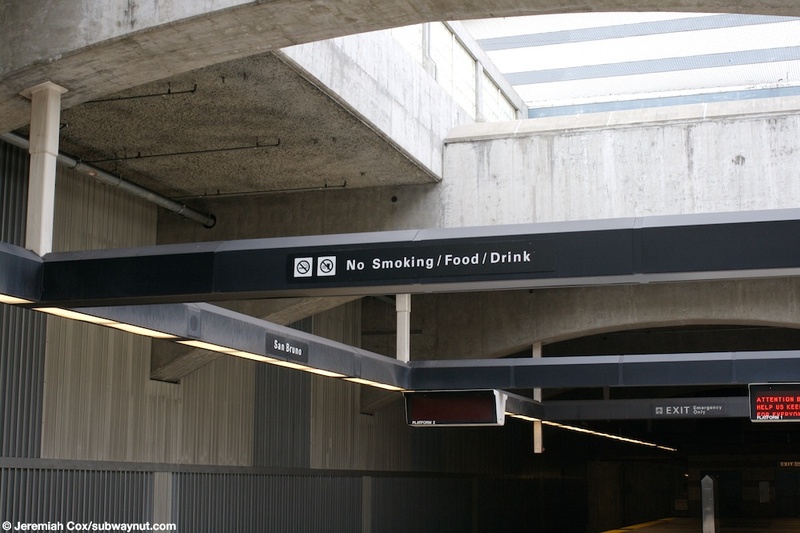 The east faregates lead to the west side of Huntington Avenue, parallel to the tracks below. 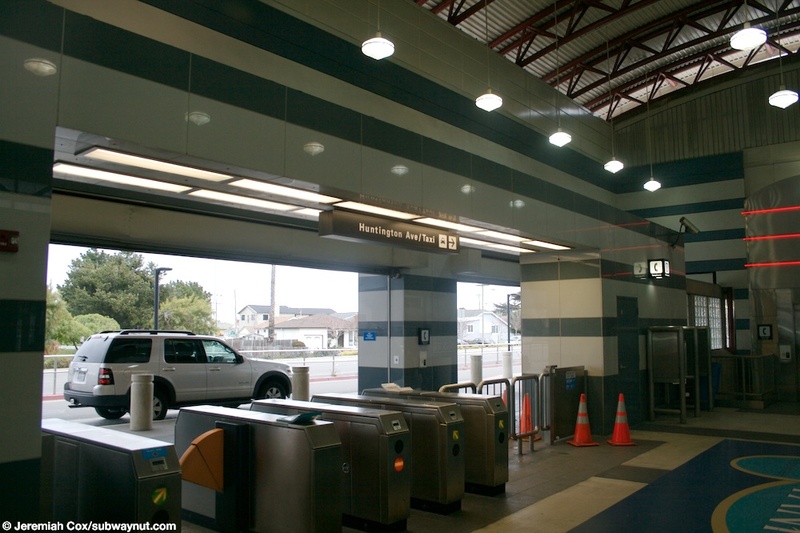 The West Fare lead, just across a small parking lot (and surrounded by lots), to the Tanforan shopping mall. 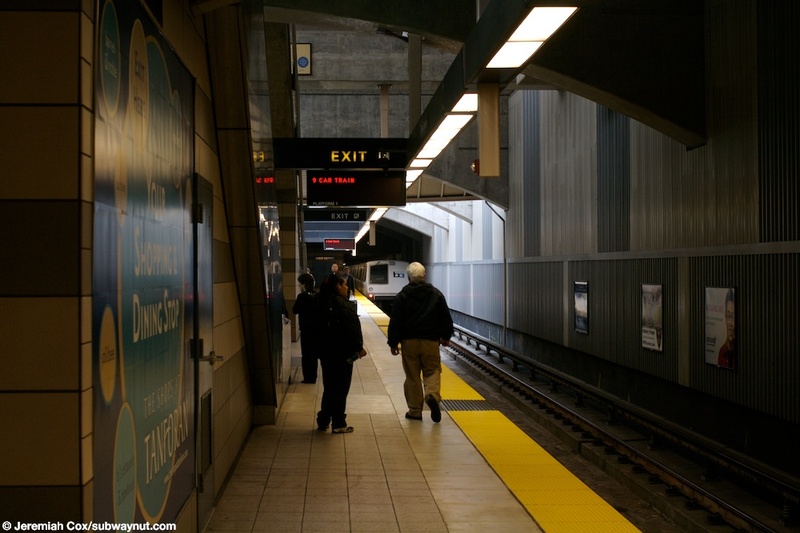 Just north of the station is a bus loop, and BART has a parking garage with 5 levels and a 1,083 parking spaces.